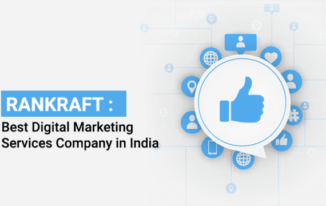 Facebook marketing has turn out to be the most integral part of digital marketing, revolutionizing the way we have been looking at the online marketing industry. 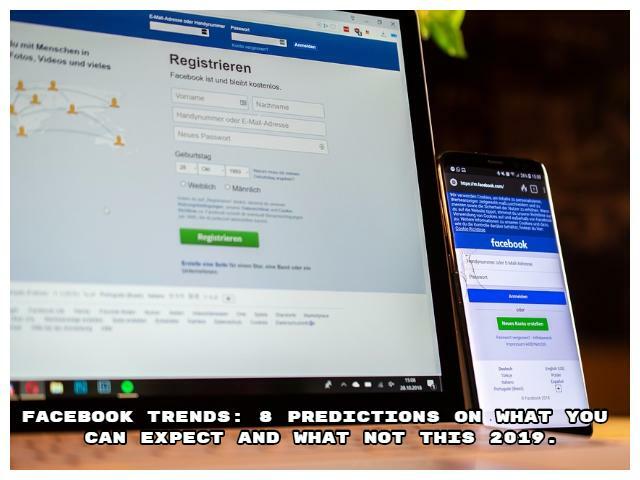 With this in mind new features are regularly added to Facebook, and by looking at the recent changes give us a clue on what 2019 will continue to hold for both businesses and consumers. Over the past few years Facebook has been successfully building a good user experience so that the consumers can easily access a wide variety of content without having to leave the website. 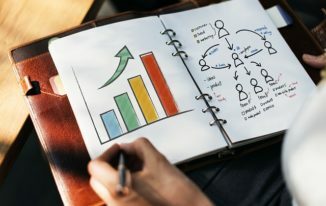 So fasten your seat belt and study the top eight Facebook marketing trends in 2019 so that you can stay in the course. Though this service is only available in USA, businesses on messenger have allowed brands to improve their customer services by offering them a real time and personal conversations. Shipping status and order confirmations are things that can be easily delivered to customers, in addition to the free form questions that the customers would like to have. 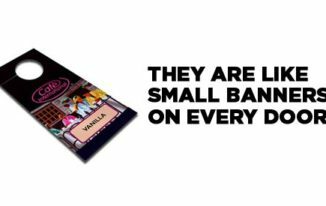 The platform also allows to push in notifications, allowing users to be notified when the items are back to the store. Many say that organic reach is dead. And in a research study conducted by Loco wise shows that pages with less than 1 post than a week will continue to have far more reach than the pages that post more. In another research conducted by Locowise in 2017 also featured that the pages with less number of likes will continue to have more organic reach than the pages with more number of likes. The subject is still a debate and we get to see that some pages who are really doing a brilliant job especially when the audiences have a high infinity towards a particular page say for example Chuchu TV, Ayurveda, and Brightside etc. Facebook has been publishing videos since the year 2014, and hence they bought an auto play button creating an auto distraction and this is what stops people by to watch the moving image. Videos help the Facebook pages getting the best organic reach. Studies have shown that there has been an increase in video production, video publishing, and amplification on Facebook. The studies have also shown that mobile advertising has made up 84% of sales, up from 72% in the same period a year earlier. More than 20% of the Facebook advertisers have successfully closed about 80,000 businesses creating video ads in just one month of the year 2018. And in 2019 the number is about to rise. When asked about snapchat and teens, Mark Zuckerberg replied that Facebook is still one of the best ways of reaching the largest teen audience, beats snapchat in teen engagement. Zuckerberg acknowledged the annual change of teen usage evidenced by the increased engagement in Instagram, Messenger and what’s up application. A brand should always define the contest based marketing strategy as a long term and short term. A long term is the one that successfully runs the brands inviting stories, videos, selfies, images etc. And a short term contest is where the winners are declared by the end of the day in the same posts announcing the contests. Contest that generally require quicker participation successfully drive greater engagement. So 2019 is a year of quick content strategies, live contest, lucky draws, quick quizzes, and solving the problem. There are multiple type of options available that help in creating a quicker and greater impact. Below is one best example for this. Reaching out the website visitors over all. Create custom audiences for lead ad form engagement. Remember 2017 is all about creating smart and custom audiences, creating experiences on the basis of your selected audiences. Gone are the days when you like to target your posts to anyone and everyone. Mark Zrberg had once said that until and unless your product reaches out to one billion users it is never a meaningful business anymore, and that we are not trying to monetize until then. Well guess what Facebook messenger has just reached that milestone. So rather than having your site plastered with banner ads, Facebook persuades the brands to create pages with content that helps them drive organic interaction. Once this idea is embedded, then Facebook reduced organic growth charging brands to appear in the users news feed. Millennial’s are moving away from snap chat after Instagram has led to the invention of stories and is inventing stories. Instagram stories are already integrated with Bloomberg, where you can tag friends, linking to a particular story. 2016 has been a successful for Facebook on Instagram. Through the mobile apps they have been successfully crossing 1.5 billion revenue indicating how brands have been investing and how they have reached out their marketing audiences. So watch out this space and do get your brand successfully active on Instagram. Some of these trends turn out to be the learning curve and yet again will make your life much easier. The most important is to remember that as you study these trends in 2017 have your seat belt firmly placed and continue enjoying your ride on the top. What else do you think should be added to the list above? Do leave your thoughts in the comments section below.